n ONLY ONLINE applications through our recruitment website will be considered for the above posts. 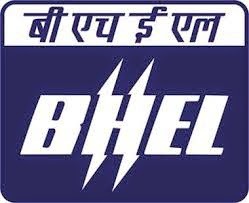 n Interested and eligible candidates should refer to the detailed Advertisement available at website http://www.bhelbpl.co.in/bplweb_new/careers/index.html. Refer “Instructions” for all information relating to guidelines for filling and submission of Application form. n Applications sent directly by post without the acknowledgement slip, generated after online submission of application form, or without all enclosures as indicated will be rejected. Incomplete application forms will not be entertained in this regard. n Candidates after filling the on-line application form are required to send their acknowledgement slips by ordinary post along with the copies of following documents so as to reach at Post Box No 35, Post Office - Piplani, Piplani, BHEL, Bhopal, Pin- 462022 by 11/10/2014.